Episode 25 of The SitePoint Podcast is now available! This week, Brad Williams (@williamsba) has a one-on-one chat with Matt Mullenweg, the creator of the popular WordPress blogging software. A complete transcript of the interview is provided below. Kevin: The SitePoint podcast episode 25 for Friday, August 28, 2009: WordPress with Matt Mullenweg. Hi there, and welcome back to the SitePoint Podcast: news, opinion, and fresh thinking for web developers and designers. I’m your host Kevin Yank coming to you from SitePoint Headquarters in Melbourne, Australia and I’m joined by my panel of cohosts. Brad: Brad Williams from WebDev Studios. Patrick: Patrick O’Keefe of the iFroggy Network. Stephan: And Stephan Segraves from Houston, Texas. Brad: Hello and welcome to the show. I’m actually running master control today and I’m joined by Matt Mullenweg of WordPress fame. Welcome to the show, Matt. Matt: Howdy. Glad to be here. Brad: Why don’t you take a second to just tell us who you are for the 1% of the people out there that don’t know. Matt: Sure. 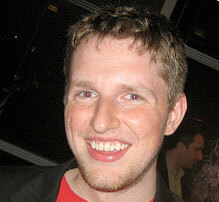 My name is Matt Mullenweg. About 6½ years ago now, I started working on a project called WordPress, which is open source blogging software that since evolved to really do just about everything. You can use it for a blog, or you can power your entire web site with it. About a few years ago after that, I founded a company called Automattic which the sort of idea was it’s to bring WordPress to the world, and our biggest project is WordPress.com which gets over 200 million visitors a month. Brad: That’s great. WordPress.com, that’s actually powered off WordPress MU, is that correct? Brad: Is it powered off the same version of MU that I can go and download or set up or is it more like customized for WordPress.com? Matt: It’s basically the same. So the custom stuff that we need is obviously because it runs across more than a thousand servers and multiple data centers and everything like that, but we’ve actually open sourced I think pretty much all of our systems there. For the database, we use a class called HyperDB, which is available for anyone to download. We have a job system that we’ve released, although it’s not very well known yet. We use a memcached plug-in and a thing called Batcache for caching and those are all public and out there. The idea is that any software we develop, we want it to be available to as many people as possible. Brad: Going back to what you said, six years ago when you first started WordPress—and this is actually a question from one of SitePoint forum members, ULTiMATE. ULTiMATE would like to know, when you first started building WordPress, did you envision it as solely being a blogging platform or did you think it would evolve into what it kind of has now where a lot of people are using it as more of a CMS or content management system? Matt: It was created solely as blog platform. That was pretty much it. I had a blog I wanted to power the blog. A big thing in the software used to be how do I embed this in an existing site and at some point that switched to from how do I embed this, to how do I power my whole site with it. That actually makes a lot more sense. Brad: That really does and I think now at least in the last few years, it’s really WordPress has really evolved in the public eye as well as from just being a blog platform to really a CMS that can—it’s so extensible, it can really power anything. Matt: Among sort of the web savvy, that’s pretty well known but the wider world in general doesn’t know that and in fact, many of our competitors say, “Oh, WordPress is good if you just want to blog, but anything more serious, you should go to X, Y, or Z…” and I obviously disagree with that. Brad: Oh yeah, absolutely and working with it, I would say the same thing. Has there been any discussion in the developer chat or amongst the core developers, or just with you in general, about actually removing the blog reference from WordPress from like the different setting pages and documentation and things like that? Matt: No. Web sites in the future, whether or not the blog is a primary part of it, most web sites are going to have a blog. I’m very much against needless abstraction. Brad: With my work, I use it more as a content management system than I do blog but almost everything I launch, like you said, typically has a blog feature attached to it so I can definitely see where you’re coming from. The next question is from centered effect, and what they’d like to know is at what point would you consider WordPress to become too bloated in terms of code, or is there a point where it becomes too bloated? Matt: Yeah, absolutely. WordPress has gotten bigger over the years but it’s been pretty much in line—I try to sort of keep it relative to sort of broadband speeds and server capacities and everything of the day. I try to keep WordPress sort of about the same I guess bloat level—would be a way to put it. In general, typically for new features, we say that’s probably not right for core, that’s something that belongs in a plug-in, and that’s one of the more difficult decisions we make day to day. The vast majority of stuff goes in plug-in. When I think something’s going to go in core, it’s either because—well it’s because it’s one of two things; the 80/20 rule—more than 80% of our audience is going to use this, or I think 80% of our audience should use this. There is sometimes some of that. Occasionally we’re ahead of the curve but more often than not, the world catches up. Brad: Absolutely. Has there ever been any talk of maybe a lighter version of WordPress that is really just kind of the bare necessities to run a site? Matt: WordPress is already pretty light. Where I worry about code overhead is mostly in terms of scalability. We’ve shown that it’s actually not that hard on a single server to scale WordPress to millions and millions of pages a day, which is far more than 99.9% of web sites are ever going to get. So I feel like that sort of concern is pretty well addressed. Brad: I know there was a fork at one point, I think it was called LightPress, I don’t know too much about it but I remember reading about it a little bit that they forked WordPress and tried to make a lighter version. I think it’s dead in the water now though. Matt: Yeah. And there have been probably a dozen forks of WordPress over the years. It’s just that what’s different about it, does it really matter to users? It’s hard to decide, but I don’t mind forks at all. It’s sort of the open source way, and if a fork ever came along that did something really, really cool, we’d probably look at bringing it’s functionality back in the core. Brad: Technically, WordPress started out as a fork, did it not? Matt: It absolutely did, yeah. Brad: So without forks, then there would be no WordPress, so that sounds great. Matt: And it’s a fundamental part of open source as well. Brad: The next question is actually from AlexDawson, who is one of the mentors on SitePoint, and he would like to know why WordPress chose to use XHTML 1.0 as the DOCTYPE. Matt: That was probably five or six years ago. Brad: Well, I guess maybe a more relevant question would be are there any plans now that XHTML 2.0 is pretty much dead in the water, are there any plans to look at changing that over outside of XHTML? Matt: So, there are no plans for XHTML 2.0. There are some really cools features coming in what’s known as HTML 5 and that whole process, the web apps group, that I’m very, very excited about and we will continue to embrace those as they become sort of widely supported in browsers. As for the actual syntax of a code, are we going to stop self-closing BR tags and closing list items? Probably not. Even if we weren’t XHTML, it’s still like sort of the—I like the rules of XHTML and so I don’t see anything wrong with continuing that. The actual DOCTYPE isn’t as important as it used to be. Brad: I would agree with that and a lot of talk is about people focused on XHTML and now that it looks it’s really not going anywhere, is HTML 5 going to be the answer? Will they ever finish HTML 5? Who’s going to adopt it? There are still a lot of questions out there and I think over time, those will probably be answered based on how HTML 5 is adopted. Matt: It’s a syntax thing; it’s not a huge deal. I’m less concerned about the answer of is XHTML the future or is it even correct to serve it without setting the application/xml whatever, MIME type and all those sorts of rules, rather than just like it’s a syntax cleaner and does it sort of force you to be a little bit tidier about your code. Brad: And then the actual WYSIWYG editor that’s embedded in the WordPress, that doesn’t actually clean up the code so it’s specific to any DOCTYPE, does it? Matt: It tries it’s darndest. It obviously can’t clean everything, it can’t fix everything but if you’re just using the editor, it will produce valid code. If you paste something in from a different web page or from Microsoft Word, again it will try to clean it up but sometimes we can’t do anything. Brad: I know that’s I think on the wish list of WordPress things that WYSIWYG editor has always been kind of towards the top but I think it’s an issue with any platform that you work with. Matt: WYSIWYG in general, is super hard. We just try to make it better with every release—and it has gotten better with every release, if you compare what we do now to what we had two or three years ago when it was first introduced, it’s changed quite a bit. Brad: I think it’s much more stable. I’m typically the view source kind of guy, stick with HTML but the last few versions, I have been finding myself using WYSIWYG a little bit more. Matt: That’s actually fantastic. For me, I’ll use the WYSIWYG when I’m writing; meaning that if I’m like trying to write an essay or something meaningful, the HTML kind of mentally gets in my way. It’s not that I don’t know HTML like the back of my hand, it’s just that clutter distracts me from the words and makes it harder for me to edit my own writing and editing your own writing is already really hard. Brad: I think everybody kind of has their own ways that they do it. I’m still used to kind of writing a hrefs and image tags and it just feels natural to me. I don’t blog quite as much as you do, or as a lot of the audience out there might, but when I do, I like to make sure it’s very clean and precise and I think viewing the code for me helps me feel that way. But the WYSIWYG editor is a great alternative. Matt: I’ll often edit in the WYSIWYG editor and then before I publish, I’ll check it out in HTML. Brad: Check out the code. Matt: That’s why I like the new version of WordPress because it allows you to switch between them super easily, and the cool thing about it is whatever you choose, that will be sticky so the next time you come back to the page it will default to whatever your last view was, whether HTML or WYSIWYG. Brad: That’s a great feature alright. I want to touch on WordPress and WordPress MU and I know you announced a few months ago they would be merging. I haven’t heard too much about it since, so I’m wondering if maybe you could just give us an idea how that’s progressing, any ideas of maybe the version it would be in. Matt: It’s going to be sort of around the 3.0 time line and well, kind of like I said at WordCamp we haven’t started working on it yet, so it might change as we start to work on it. Basically, the idea is that we have these two code bases; they’re 99% the same, now let’s combine them and sort of pool the development resources so we don’t have a bug tracker over there and a bug tracker over here and some developers working over there and some developers working over here. Let’s get the full sort of resources and intention and minds working on WordPress also working on MU, and I think that will improve the product quite a bit. Brad: Oh, yeah. I couldn’t agree more. I work quite a bit with WordPress MU, and it seems there always tends to be a little bit more bugs in MU. Again, this is just my personal opinion based on watching trac and the community. It feels like MU, it doesn’t as large of a group of developers or what have you that are helping with it as WordPress does. Matt: There’s as many MU powered blogs as there are WordPress powered blogs. In fact, it’s arguable that there is even more MU powered blogs. The thing about it is that the people running them, I guess they’re really busy, so they don’t get as involved as WordPress people do. Brad: Yeah, but combining them is going to basically eliminate that, so you basically have all the developers working on one set of code, which I think is going to make it just night and day between how it is now and how it will be in the future. So I’m really, really excited about this update. I’m looking forward to it. So that’s why I’m trying to pull some information out of you. Matt: Cool. You should get involved. Brad: Yeah, actually I have been getting involved in WordPress. I would say I guess I’m one of the people I’m talking about. I work more on the WordPress side than I do MU but you’re right, I probably should be more MU involved.I want to talk about WordPress.org a little bit, the actual web site. Now I know recently you released or you launched the commercial themes page. It got a lot of press, a lot of buzz, a lot of people talking and I think it’s a great feature, and I think that was kind of the general consensus. Are there any plans to do the same for plug-ins and have a commercial plug-in section that essentially just kind of promotes those commercial plug-ins that are GPL compliant? Matt: Probably not in the near term. Honestly, there’s not that many people asking for it. It’s really just been like one or two people and they’re asking a lot but it’s not that many in terms of number of folks versus the themes page where there is a ton of folks… I think themes are a little bit different from plug-ins in terms that… a theme is more like the basis for designing your web site and it’s kind of the building block, where a plug-in is often just one smaller part of it. So honestly I feel like there’s a better commercial case for themes than there is for plug-ins. Brad: Yeah, I would agree. That was actually the follow up I had to that is it feels like that’s kind of the mindset of everyone, that commercial themes are accepted and kind of understood by the community; whereas commercial plug-ins are almost frowned upon. If I were to release a plug-in and charge for it, more people would almost probably tell me that I shouldn’t do that, even if it’s still GPL compliant. Matt: And it would also be more likely that someone would create a good free alternative, where with design that’s less likely to happen. Brad: That’s exactly right. Maybe I’m the same way, I come across a plug-in that costs money and chances are you’re right, there is a free alternative out there that’s going to do something similar or very close to that functionality. Matt: Most features for WordPress start as plug-ins first. So if all plug-ins were to be commercial, that would seriously inhibit because even though they’d be GPL, the guys obviously would want us to put functionality in WordPress and that would seriously inhibit, I think, the growth of WordPress. Brad: Some plug-ins warrant a price tag, some of the more complex e-commerce forms, things like that… those plug-ins if you look at the source behind them, there’s a lot of work that has been put into plug-ins. Matt: It’s not a function though of the amount of work because obviously there’s a lot of amount of work put into WordPress. Matt: I like to say that best things in life are free. Brad: Hey, WordPress is a great example of that. I’m a big fan of GPL and I like to see things that released GPL. I really don’t have a problem if people pay or ask for money for certain things. Matt: Also, if you look at the direction of the commercial theme page, they’re not really charging for the downloads, less and less; they’re more charging for the support and the customization and work around it. I think plug-ins totally can go that direction as well. Brad: Yeah, that’s actually a great business model and I know a few plug-ins like that that go that way. I think the e-commerce plug-in is one of them. The download is completely free and then if you want support, you pay for that. I think that’s probably a good business model for plug-in developers to look towards. WordPress 2.8.4 recently came out and I have a couple of stats here I want to throw at you on version releases. So bear with me here. So WordPress 2.7 came out December 10, 2008 and exactly two months later, WordPress 2.7.1 came out to the day. The WordPress 2.8 came out on June 11th and exactly two months later to the day, WordPress 2.8.4 came out. Basically, 2.8 had four minor releases in the same time that 2.7 had one minor release; so I’m curious, what happened with 2.8? Was there a lot functionality that just wasn’t quite ready to go out the door? Maybe you could explain kind of the difference there. Matt: It’s actually the opposite. If we were doing a bug fix release, like 2.7.1 was, it probably would have been the same amount of time because the releases were similar in terms of quality and bugs that made it through but the four releases for WordPress thus far for 2.8 had been security fixes. So those are things that rather than if it’s a bug, we pull them all up and we get like a whole bunch of them fixed and it’s more a matter of time, like we sort of aim for release one to two months later after the main one. If it’s a security fix, we’re trying to get a release out the door as soon as humanly possible, right? Because otherwise, blogs are in danger and that something could happen to your site, or to your content or anything. So it’s sort of our responsibility, our obligation to get a release out the door as soon as possible. When we find a security issue that’s serious, like that one with 2.8.4, where someone could remotely reset your password; as much as I hate doing a ton of releases, it’s the right thing to do. Brad: Yeah, absolutely. That was kind of an interesting bug. I think everyone—obviously, I probably shouldn’t be laughing about it—but I think everyone had a little bit of fun with that, resetting all of their friends’ passwords.I think it is great that you guys take security very seriously. I know anytime I talk to someone about open source that’s not familiar with open source, that’s the first question out of their mouth. How is that secure if someone can see my source code? How do I know my web site is secure? And I think the way you do release things right when security vulnerabilities are found, kind of proves how serious you do take security with your software or with WordPress and the open source. Hats off for that. It actually begs a good question. I was kind of following the story when the bug came out, or the vulnerability and it was widely reported that the way that it was reported to WordPress as being a bug was actually a blog post that basically said, “Here’s how you exploit this vulnerability.” What would you recommend as a proper way to submit a security vulnerability rather than just blog about for the whole world to see? Is there a better method that people should use? Matt: Well, so every other release of 2.8 and generally every security release we’ve done in the past few years, it’s been prior to the announcement of the vulnerability. What most responsible security researchers do is they’ll contact the vendor—in case us—and we have sort of open email address where anyone can email us anything and we follow up on every report pretty seriously. We research it, we verify it, we get a fix in and we do a release and then they announce it a couple of days later. This gives everyone a chance to upgrade and everything, so everyone’s most protected. Because their benefit is really to—the notoriety for having found an issue, they don’t really benefit from zero-day exploits or a bunch of blogs getting messed up. So that’s how most of the time it works. In this particular case, we found out at the same time as everyone else, which is not ideal, which is one of the reasons why we sort of had to burn the midnight oil to get a fix out there. Brad: You guys did have a fix out fairly quickly. I think it was discovered and a new version of WordPress were released on the same day if I’m correct, maybe the next day. Matt: Yeah, I think it was next day. We had the fix in within a few hours because it was a relatively simple fix but even with a simple fix, even if only a small amount’s changed, you’ve really got to dig in to see if there are other parts of the code that are affected by a similar problem… does this fix break anything else? We kind of have to do a very accelerated QA cycle. But it’s pretty good. I’m actually very proud of how Ryan and the other lead developers responded to this. Brad: Yeah, I was amazed at how quick it was. In fact, somebody actually released a plug-in (the name is escaping me, I’ll look up their name and put it in the show notes [It was Will Anderson. —Ed. ])—released a plug-in to patch the vulnerability as well. So even in that short amount of time where it existed, there was a plug-in you could download to patch it too. And that kind of speaks highly of the WordPress community in general, is how everyone kind of pulls together when something like this happens, figures it out, figures out how to patch it, gets it up there, releases the version, releases plug-ins; so it feels like everyone kind of has each other’s backs.Enough tech questions. I’ve got of couple personal questions here and then we’ll wrap it up. I know you’re a busy guy, so not too personal. Alex Dawson again, he’d like to know what favorite social network is outside of any kind of WordPress product? Matt: Hmm. A good question. Brad: Are there any social networks that you check daily, Facebook, or MySpace, or anything like that, Twitter? Matt: I don’t check any of them daily and I also don’t really consider Twitter a social network. For me, Twitter is sort of like a stream of stuff that I dip in and out of occasionally. It doesn’t really connect me to people anymore than anything else. I guess the social network I use the most is Facebook. I have just always been really impressed with their products and developments, the way they innovate, the way the sites… I get the impression that they’re really obsessed about speed because the site is often very, very fast. It just has a lot of really elegant features on there. I’ve always taken inspiration from Facebook and honestly, that’s where most of my friends are. Brad: I think all of my friends migrated to Facebook too and I don’t think I know anybody on MySpace anymore. Matt: Yeah, same here. I think I have a MySpace profile but I haven’t looked at in years. What that changed for me was—the primary thing that started getting on MySpace was spam. I think it’s interesting how of much of an Achilles heel spam is for these networks. Brad: Back in MySpace’s heyday, you’re right you would get 10 … well you probably got thousands, but I would get 10 or 15 friend requests a day and they’re all these half naked girls that I’ve never seen before. You’re not my friend. Matt: What always fascinated me about that was how good the targeting was. So because they had sort of information about you on your profile, if you were Catholic, the spam would be Catholic, from a Catholic girl. If I was in San Francisco, the spam would come from Oakland. I mean they really—it was interesting and they would be in a similar age range and everything like that. So I found that really fascinating how highly targeted the spam became. You could tell how effective it was by looking at the profile and seeing how many friends they had, right? Matt: Sometimes I’d get a spam, I’d look at the profile and it would have 40,000 friends, so obviously it works. Brad: Something’s working. Did you take that knowledge back and kind of go back to akismet which is your comment spam filter and kind of include that knowledge that you learned from you saw in akismet. Matt: You know I can’t talk about how akismet works. Brad: I had to ask. Speaking of Facebook, I got another question that’s kind of related by Divisive Cotton, and apparently they’re making a film about Facebook and about the founder Mark Zuckerberg. What Divisive Cotton wants to know is if they were to make a film about WordPress, what actor would you like to play you? Brad: Is it because his name Brad? Matt: Actually, when I’m overseas sometime people say I look like Tom Cruise which I don’t see but sometimes people see it. They never say that in America. In America, there was this actor, I think his name might actually be Matthew (I’m going to have to look it up), I want to say he was an actor on Kids In The Hall… oh, Dave Foley. He was also on the show I used to watch a ton called NewsRadio, which I really enjoyed and people tell me I look like Dave Foley. So maybe Dave Foley, although I guess he’s getting older now. Brad: You do kind of look like Dave Foley. I know exactly who this guy is now. Everybody listening, go look up pictures of Dave Foley. Matt: So one of those. Brad: That’s great. So who knows, one day they might have “WordPress: The Movie”, playing Matt Mullenweg played by Dave Foley. Matt: And the love interest will definitely be either Megan Fox or Corinne Bailey Rae. Brad: Or both. You travel a lot to WordCamps all over the world, you’ve been all over the place; what’s your favorite place to visit or the favorite place that you visited in your travels. You can say New Jersey if it’s New Jersey, I mean, I won’t hold offense to that because I live there. Matt: I’ve never really traveled before. In fact, I hadn’t really left Texas for a good chunk of my life. The past two years, I’ve literally been to every corner of the world. I think I’ve gone to like maybe six continents in the past eight months. It’s just been all four corners. It’s not that one is better or worse than the other; it’s just really different. The thing I love, like what makes me like a place versus not, is the people who I’m interacting with there.Typically, when I go to a WordCamp, I’m hanging out with WordPress users and the local hosts and everyone like that, and so it’s kind of actually a really neat way to get to know some place. Sometimes I’ll go to a city and not even visit any of the any landmarks or the tourist stuff or anything; I’ll just be hanging out with the WordPress users in that community at their favorite bars or their favorite restaurants or things like that. I actually really like that, because, ultimately, although I’m a photographer and I take a ton of pictures, when I travel, what I tend to like to take pictures of is the small stuff the light posts, the graffiti on the wall, things like that—I feel it really gives character, the murals in Philadelphia. When I was in Sydney, the Sydney Opera House blew me away. It sort of makes you appreciate the wide variety of just people and places, and geography, and everything all over. This weekend, I was in New Zealand and, man, that is a pretty place. I think it’s really, really beautiful. We bought a company in the north of Ireland in a place called Sligo, which I had never heard of before in my life. I think it’s one of the most beautiful places I’ve ever been. Brad: We have a lot of developers and designers that are part of SitePoint and the community and if anyone’s interested in getting involved with WordPress, where should they start, what’s the best way so someone can really start getting involved with WordPress? Matt: It’s interesting; there is a space for almost every skill. Where I actually kind of got started with B2, which was the predecessor to WordPress, was in the forums. At the time, I didn’t really know much about programming. Actually, I was just learning. I was actually a SitePoint user in 2002, and I actually learned a lot of the early page B and C assessment stuff I knew from SitePoint. I think my username is allusion, like a literary allusion. Brad: We’re going to have to look at your first post now and see what it was. Matt: That’s probably super embarrassing. Brad: Oh, mine are awful. Matt: I was just learning, and so even though I didn’t know a ton, I was able to help people who knew even less. No matter how little you think you know, there is always someone else out there who is just getting started earlier than you. Actually, I learned a ton through that. I probably learned more through helping people, or like tech support and things like that, than I ever did from any of the books or web sites I read. That’s where I got started and then over time, I branched into contributing and filing bugs and writing my own code and everything like that. That was a pretty natural progression. We also have spaces for people to contribute. Let’s say you’re good at writing prose or poetry, but not code; we have haikus … did you see the new Automattic homepage? Brad: I did, it’s completely haikus. It’s great. Matt: That was just kind of fun. I was having fun one night. We have a new WordPress handbook, which is basically a way for—we’re trying to write like an open source WordPress book. There’s the Codex where there’s all sorts of different documentation for people. There is mailing lists where any number of issues come and go. Almost whatever the thing you enjoy doing is, there is a way to do it as part of WordPress.I believe it was President Obama who said when we hitch ourselves to something greater than just us, that’s when we sort of find happiness and satisfaction, and that’s totally what I found as well. I was sort of years as basically a solo web developer, and the thrill of working in an open source community and some of the shared ownerships—like we’re all in this together—it’s kind of like an Amish barn raising. You build something with each other that’s far greater than you ever could have built yourself or any of the people… it’s greater than the sum of its parts. And that’s actually pretty fun. It’s also a fantastic learning experience where, in the WordPress’ case, you have the opportunity to interact with, my opinion, some of the best PHP coders in the world, people who have dealt with sites that get 15-20 million page views a day, which is more than most of it.There’s not a ton opportunities to do things like. I mean, it’s not like you can go in and hang out with the Facebook developers or anything like that. Outside of Wikipedia, it’s hard to think of another project like it. I think it’s a good opportunity for folks as well. Brad: Oh, yeah, absolutely. I’ve been working with WordPress for a few years now and just this past year really, I’ve really got involved in the IRC chat. There’s a whole under Freenode if you join WordPress or WordPress-dev where are the core devs hang out—I’ve learned a lot just by sitting in those rooms and like you said, helping other people that knew less than me and then learning from people that knew more than me. There is a lot of people in there that know more than me. I feel like I’ve doubled what I know about WordPress just in the last year of just hanging out in that room and talking WordPress. Matt: Wow, that’s a fantastic story. I guess it works. Brad: I’m always in WordPress chat, so if you’re ever trying to find me, I’m usually in there. The dev chats now are Thursdays. Matt: Yes, that’s another great way to get involved. We have sort of a weekly developer chat, sort of just a way for us to talk about where WordPress is and sort of figure out who is going to work on what for the next release. If you’re a developer and you want to get involved at a higher level or maybe have someone mentor you through a feature or something like that, the weekly chats are a great place. I think right now they’re on Thursdays. They used to be on Wednesdays. They might move around in the future. Brad: Even if you’re just watching, a lot of times, I just sit in there and watch; if nothing else, you can kind of see the cool new features that are coming up for WordPress. Matt: Yeah, you’ll know it before all your friends. Brad: Last question. What’s next for WordPress? What’s down the future towards this year, may beginning of next year, what can we expect from WordPress? Matt: Hopefully WordPress 2.9 and WordPress 3.0. Brad: With the WordPress MU integration, of course. Matt: There is three things really on my mind a lot right now. One is WordPress as a platform. It’s now well north of 5,000 plug-ins available for WordPress. There’s at least that many themes everywhere around the Web. How do all those interact with each other, how do you stay up to date, how do you manage conflicts when you upgrade, how do you make sure everything is compatible? These are kind of tough problems, and so we need to figure all that out because you as a user, upgrading should be a one-click button and you should never worry about it. All of your plug-ins, everything in your site should just work, and that’s the goal of WordPress; it should just work. You should never have to think about it. If you have to think about, we failed as developers.Two is around media. I think I might have more photos on my blog than any WordPress user in the world more photos in WordPress. I obviously use that functionality a lot but in addition to photos, how we’re going to be interacting with audio and video and really rich media because I think that’s becoming a more important part of just the Web experience, especially as broadband and everything increases, which somewhat like Moore’s Law gets better every year.And then finally, sort of different content around the Web. Just me: I use Twitter, I post photos to Flickr, I have two or three blogs, I do a lot of things around the Web. Is it possible—I don’t know the answers to this—but is it possible for sort of WordPress to bring all that in and sort of archive it for me and maybe present it in a unified view and become sort of my ultimate profile or ultimate homepage. This is something that I don’t think we’ve figured out yet. I don’t know what that’s going to look like.I think that WordPress provides a really good base for it and most importantly, although a lot of these services are fantastic, often they are proprietary. In fact, none of the ones I’ve just mentioned are open source. I would really like all the data, from my heart and soul and blood, sweat, and tears that I pour into all these services to belong to me, because right now according to their web sites in terms of service and everything, it sort of belongs solely to them. And who knows; I like Facebook today, but if it’s get bought by News Corp and merged with MySpace, I probably won’t. I’d like a way to sort of take my data out and just sort of have it on a domain that I own and software that I own and control as well and open source is really the only true example of software freedom. So, I’m thinking about that. It’s kind of bounced around in my head. Brad: It sounds like we have a lot of cool things to expect out of WordPress over the coming years and it will probably be surprising and amazing all at the same time, I’m sure. Matt: The final thing – if you haven’t, if you’re a WordPress user or especially if you’re a developer, you should check out two things. One is VideoPress, which is our new plugin for doing video. It’s really slick, it does really nice video. Two is BuddyPress, which is sort of a social layer on top of WordPress that allows you to create social networks, profiles, all the things you’d expect on a traditional social network, but you can integrate it really nicely with your existing blog or web site or network. Brad: BuddyPress is pretty exciting and especially anyone that’s used it, it’s an awesome, awesome package that fits right on top of WordPress MU. As I understand it, once they merge, it will also kind of merge right into working with regular WordPress as well. That’s going to be great. I think it’s really going to explode BuddyPress. Definitely check out BuddyPress if you haven’t.Matt, I really appreciate you taking time. I know you have a crazy busy schedule and taking the time to have a chat with me, I really, really do appreciate. I’m sure everybody listening does as well. Brad: Thanks, and that ends another episode of the SitePoint Podcast. Kevin: And thanks for listening to the SitePoint Podcast. If you have any thoughts or questions about today’s interview, please do get in touch. You can find SitePoint on Twitter @sitepointdotcom and you can find me on Twitter @sentience. Visit sitepoint.com/podcast to leave a comment on the show and to subscribe to get every show automatically.We’ll be back next week with another news and commentary show with our usual panel of experts. The SitePoint Podcast is produced by Carl Longnecker and I’m Kevin Yank. Bye for now.